The Emerging Curators program offers grants up to $2,500 to assist an emerging curator or curators in executing an exhibition focused on jewelry and/or metalwork. SNAG realizes that emerging curators in the field of Jewelry and Metalwork have varied backgrounds. An emerging curator may be a recent graduate of a jewelry and/or metalwork program with an exhibition idea; or artists who have hosted a few exhibitions and are looking to stay in the curatorial field; or curators looking to host an exhibition about the jewelry and metalworking field. On the application you will have the opportunity to expand on why you fit the title of “emerging curator.” We think the diversity of people who may consider themselves an “emerging curator” is exactly what makes this program dynamic and diverse! Priority will be given to exhibitions occurring in North America (United States, Canada, Mexico). As this program is, in part, meant to provide visibility of the field to the public, the Committee is looking for projects that consider ways for community engagement and creating learning opportunities outside of the field of metalwork and jewelry. While organizing exhibitions around SNAG conferences is acceptable, emerging curators should not consider conference attendees to be their primary audience. 1-page resume. Please include curatorial experience if applicable. 2 letters of support. If this exhibition will take place in a gallery, museum, or institution, one letter may be from the exhibition venue. Applicants should reach beyond SNAG staff and the Exhibitions Planning Committee members for letters of support. 10-15 high quality images in support of exhibition theme including example images of artworks/artifacts. Exhibition must be supported with visual and written documentation that is accessible to the public. This can be a digital or printed presence such as a catalog, online exhibition, etc. 5-20 high quality images of artwork and installation, exhibition statement, and artist list to be featured on the SNAG//SPACE website. Exhibition must open before December 31, 2019. Curators are also required to complete status reports. Previous grant recipients are not eligible. “Narrative” or “critical” jewelry made by contemporary art jewelers today is intimately connected to their artistic identity and primarily driven by a concept. This concept (or idea) is articulated in an “artist’s statement,” which develops throughout the artist’s career. This exhibition emphasizes the voices of twelve contemporary art jewelers that deliberately appropriate ancient and historical jewelry styles and techniques. These jewelry artists use the symbolic language of past jewelry forms, methods, and materials to reflect on the meaning of adornment. For this exhibition, deliberate appropriation was determined through artists’ statements, artist interviews, and other artist-produced textual evidence, with selections represented as quotes throughout the space as wall text. Traditional and current processes employed by jewelers will be displayed alongside contemporary and historical jewels and artifacts. Statement Jewelry, 1887 BCE – Present: A View from the Jeweler’s Bench differentiates itself from recent jewelry exhibitions by focusing on the role of the maker in determining the form of the final jewel, rather than looking at the jewelry alone. The exhibition will illustrate the influential role that ancient and historical jewelry archetypes play in the development of jewelry styles and techniques, from the perspective of the contemporary jewelers. 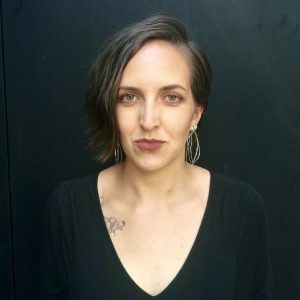 Sasha Nixon is a practicing metalsmith, curator, and jewelry historian. She obtained her Masters Degree in decorative arts, material culture, and design history from Bard Graduate Center in New York City in 2018, and her Bachelors Degree from Indiana University in 2010. She received the 2018 Windgate curatorial internship at the Museum of Art and Design, and is currently working with assistant curator Barbara Paris Gifford on MAD’s upcoming exhibition Robert Baines: Fake News and True Love. Her primary focus is the influence that ancient and historical jewelry styles and techniques has on contemporary art jewelry.